How Can Zero (net energy) be a Hero? I am frequently asked why people seem to dislike economists so much. It’s a complicated question to answer. There are lots of reasons, many represented in the comments section of this blog. One could be economists’ stubborn insistence on evidence-based analysis of programs we would all like to see succeed. Another reason is the propensity of economists to complain like curmudgeons about popular ideas that seem to be embraced by everyone but make little economic sense. I’m taking this latter path to unpopularity. This week the target is zero, or more specifically the calls and efforts to lead a zero net (insert bad thing here) lifestyle. Zero abounds throughout the UC system. A team at UCLA is working on zero net-energy building materials. My campus at Davis is the site of what the campus calls the “largest planned zero net energy community in the United States.” Not to be outdone, UC Merced has a Triple Zero target by 2020. And there is a systemwide carbon neutrality initiative with a goal of making the UCs as a whole zero-net carbon by 2025. Zero has also moved into official policy-making. The California Public Utilities Commission has spearheaded an effort to make all new California homes zero-net energy by 2020, and all commercial buildings ZNE by 2030. Fundamentally, the allure of such initiatives is to start making headway in reducing the consumption of something we may run out of (e.g., water or oil) or reducing the output of something that is doing us harm (e.g., greenhouse gasses). But we have to ask ourselves whether it’s the best way to make progress. It’s not that I’m opposed to the concept of zero net-carbon, it’s a matter of scale. I travel a lot and meet quite a few folks who still don’t believe in climate change (Americans mostly, but also a cab driver in Canada, a barrista in Australia – the common thread seems to be a dislike of Al Gore). In an attempt to convert such people I point out the fact that we are putting more GHG into the atmosphere than the earth can absorb, and if we continue on that path we eventually get to a REALLY high concentration of GHG. Even folks who may not, for some reason, be persuaded by today’s state of the art climate models should recognize that infinite carbon dioxide would be a bad thing. So sooner or later the earth is going to have to get back to at least zero net GHG. The problem, from an economist’s perspective is therefore one of geographic scope. 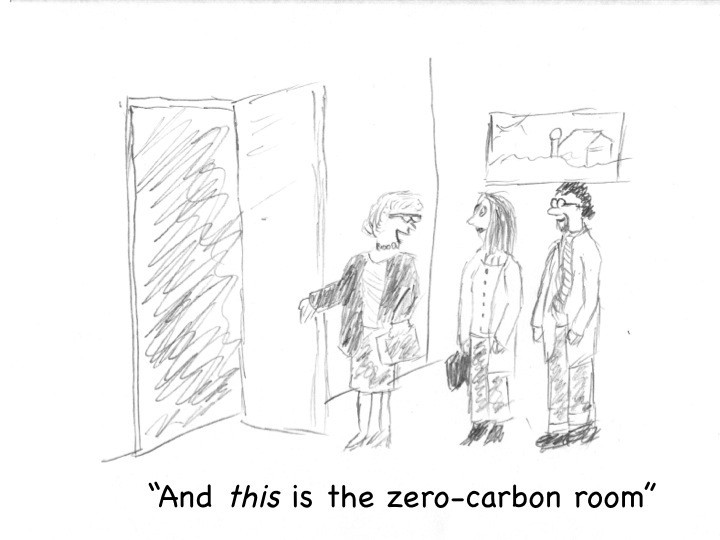 The only meaningful scale on which to pursue zero net carbon is a global one. One way to get to global balance would be for every house, every person, every store, to lead a zero-net carbon existence. But this is almost certainly not the best, or even a realistic, way to get the globe into balance. One of the basic insights provided by economic philosophy has been the concept of comparative advantage, which produces gains from trade. The ability to specialize on the things we do well is one of the fundamental drivers of increased productivity and economic growth. What is the harm of a zero-net (bad things) framework? I see a few serious concerns. One is that it distorts the way these self-contained communities view the costs and benefits of their own resources. This has been captured in discussions of how to price energy in zero-net energy communities. For example, if you’ve got enough solar panels and batteries, the marginal cost of producing renewable power is zero, and there is a temptation to simply charge a monthly fixed fee for power. That’s what’s done in West Village. This highlights one of the distortions of zero. Namely, why stop at zero? If there are ample renewable resources on hand, wouldn’t it make sense to push some back out to the grid and displace someone else’s power. In other words, even though the marginal cost of generating power may be zero, the opportunity cost of that power is whatever you can sell it for. Again, if there are potential gains from trade, don’t let zero stand in the way. A third problem is that zero promotes a fiction of self sufficiency and isolation that might become a reality. The wonders of smart-grid technology hold the promise of a more integrated system where refrigerators in Sacramento can be cycled to offset intermittent renewable generation in Fresno. Or technology could be deployed to create pockets of zero-net consumption that end up having to balance their own supply variation internally. Why is a zero community better than a zero State? Or a zero multi-state grid? Some of these risks may be washed out in implementation of “zero.” After all, many definitions of net zero allow buildings or communities to credit energy or GHG reductions made elsewhere. This is just getting to zero by checking the boxes in a certain order, but it makes you wonder what the point is. If I can call my house net zero because it’s paying some money to a solar panel somewhere else, isn’t that just a form of retail choice? If that’s what it takes to reap gains from trade in GHG reductions, I guess it’s better than nothing. But from where I sit, it would make more sense to work for an aggregate goal and spread the burdens proportional to the costs. If these zero (bad things) targets are just aspirational and serve as a way to get people excited and mobilized about reducing (bad things), they are not necessarily a bad thing. However, a narrow focus on a local zero fails to account for the big picture and can cause us to overlook more meaningful global solutions. After all, the best way to a sustainable climate may have zero zero. Previous Previous post: Are the Benefits to the Weatherization Assistance Program’s Energy Efficiency Investments Four Times the Costs? Next Next post: Could Microgrids Be Big in the US? You would think this would be a no-brainer point – but it needs to be made as it’s so often lost. If you truly want a “greener” planet, it makes sense to do it efficiently – which then allows you to achieve the same goal cheaper (i.e. using less resources), or to go even farther! I thought this was a really thought-provoking post – before reading this I never really took a step back to ask, “Why zero?” and now I can see that, while poetic, the notion of zero is pretty arbitrary, in economic terms at least. I thought the second point was especially salient, as marginal costs are critical in the climate change issue. Regarding our own emissions reductions efforts in the U.S. I have faith that the Clean Power Plan will work pretty well as a low-cost policy tool (not as good as a carbon tax, of course) because presumably it accounts for these differences in marginal costs at the state level, even allowing for cooperation among states to achieve emissions reductions at lowest cost. Again, there are some really good points made here. Zero energy may likely be non-economic, but in today’s society it is politically correct even though the person saying it is a hypocrite. It almost never makes economic sense to eliminate the last few percent of anything. What do I know, I am just a dumb engineer. I may have been reading quickly and missed this point: the ‘zero’ has to be at ‘global scale’ but also at holistic scale. I can build a house with 2ft thick walls, 15 ft under ground — and won’t need heating or cooling just about anywhere in the world, but the energy used in digging and ‘stuff’ will probably never be recovered. It really doesnt matter if I use ‘human labor’ or machines, both consume huge amounts of energy [food, or most likely fossil fuel]. I ‘read somewhere’ [probably on the ‘internets’ that the amount of energy that went into building the SF Bay Area BART system would be recovered [ie GHG saved] if the system was used to capacity for [drum roll] 700 years. Didn’t do the math, but with all the digging etc I wouldn’t be surprised. Do solar system, windmills, even hydro dams, ever have ‘positive’ return on energy? Doubt it, specially when you factor in the mitigation at end of life of all the toxic components of the solar and windmills – and of the other ecological impacts of dams. Zero is a ‘false’ target’, as you say. If one looks at the diminishing returns graphs the last few percentage points take substantially more input. The only situations where [almost] zero is ‘required’ is safety of transportation, land or air or space. So this ‘zero’ stuff is really, like most economic inputs from politicians [and scientists are now adept at politics] really a game for resource allocation. You have a source re BART? Some of its far flung suburban stations are a bit ridiculous IMO, but the Transbay Tube is a huge economic benefit to SF, Oakland, and Berkeley. Without it, multiple billions (=tons of materials+energy) more would have to be spent expanding the Bay Bridge and building more roads and parking in SF to accommodate the same capacity. And SF/Oakland is one of the most energy efficient places to live (both typical housing type and climatic conditions). What people dislike is economists who arrogantly pontificate about professions for which you have no expertise (i.e., program evaluation); Your claim to represent “stubborn insistence on evidence-based analysis” is hilarious. I search your blog in vain for any shred of “evidence” of an alternative to this latest concrete policy approach that you demean. Add this to a long list of concrete policies that have been savaged by economists in recent months (weatherization, energy efficiency programs, etc.). Where is your “evidence-based” alternative? Although I may be hijacking your post, from this engineer’s viewpoint zero net energy is almost certainly going to be something we aspire to but are unable to achieve. In densely populated urban areas it simply will not be possible. Even where I live it’s not as simple as the proponents suggest because our roof isn’t big enough to collect the amount of solar energy that would likely be required to provide electricity year-round plus heat in winter (I live in snow country). Then of course there’s the more daunting problem of how to store surplus energy harvested during the summer in order to carry us over during the winter. As you’re well aware, I’m as prone as any economist to “complain like [a] curmudgeons about popular ideas that seem to be embraced by everyone but make little economic sense”, except that one also has to consider whether popular ideas are practical, and when formulated by those who love to make policy, whether it passes what I call the spouse test. Another problem with ZNE is that it generally applies to a 24-hour cycle in which a ZNE building exports energy to the grid when the sun is shining, and imports energy from the grid when the sun is not shining. There is an implicit assumption that the grid can provide free energy storage (the cost of energy storage is not internalized). In fact, there are real costs imposed on the grid by this mode of operation, which tend to increase with scale. It is highly doubtful whether ZNE could be implemented at high penetration without crashing the grid– there is simply not enough economically feasible energy storage. 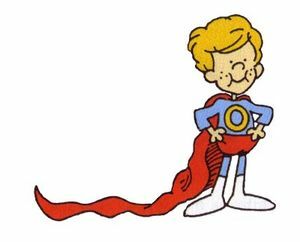 Energy Institute Blog How Can Zero (net energy) be a Hero?